This past weekend for Father's Day, my dad and I took a trip with a few of his friends to the High Point Raceway for the Motocross Nationals on June 16th, 2018. 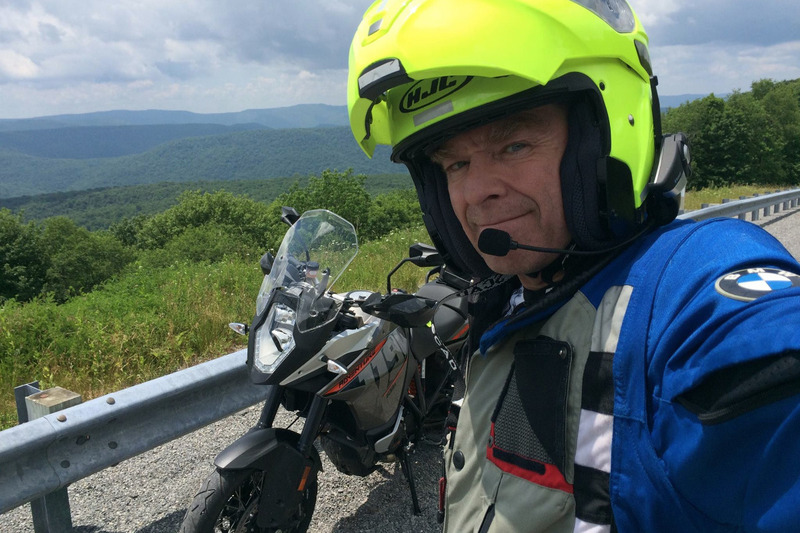 He rode out with his buddies and intended to continue on with them to spend a few days riding off-road in a West Virginia state park. As he and I were leaving the track to catch dinner together before parting ways, there was a terrible accident which unfortunately claimed his life. Though he left us way too soon, he went out doing something he loved after the most beautiful day of dirt bikes, friends, and photography (being the avid photographer that he was). My dad was so full of life, passion, and enthusiasm. He was an amazing dancer and he spoke his mind fearlessly. He had the best laugh, told the most animated stories, and had the best jokes. He loved movies, skiing, riding with his friends, long road trips, cool cars, video games, posting on Instagram (@rockingrodmoto), and living it up with his kids. No matter how hard he went down, he always got back up and rode on. My brother and I are blessed to have had such a wonderful father, but he was taken from us far too soon. There are so many things he had left to accomplish. The next thing on his bucket list was to take a cross-country ride to Alaska, and my brother and I would like to see that through. If friends and family are inclined to contribute, we are asking for help in taking that trip so we can bring him with us and sprinkle some of his ashes in the 49th state. For those looking for service information, you can find it and his obituary here . Hello everyone. Adrien and I would just like to say thank you for the donations, kind words, and support you have shown us. I'm not sure what our plan is for when and how we will get to Alaska, but I'll be sure to send an update when we know more. Maybe we'll start a blog or post it all to Instagram so anyone interested can follow the trip.